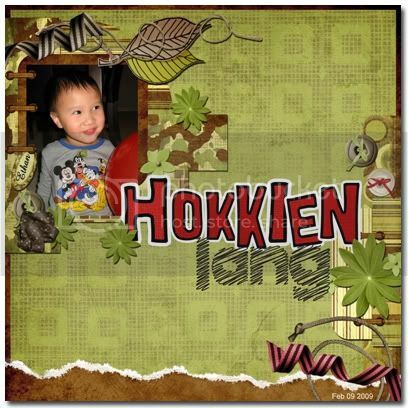 Ethan Boy · He speaks Hokkien! I tot kakai is Cantonese. Are you going to teach him Cantonese? Joyce says: Oh yeah, my bad…Kakai does originate from the Cantonese dialect. Hubby and I aren’t Cantonese, so I guess it would be up to Ethan to pick it up. Hehe….but we’ll let nature take its course. I guess it won’t be embarrassing if he shouts out loud in public, “I want to pangsai!”. hahaha Nobody knows what it means in the States, rite? Joyce says: hehe…I don’t think he’ll do that. Oooohhhh, you have video-ed it! I would love to ‘hear’ him. Joyce says: I’ll try to, but no guarantees! Joyce says: Hard to catch him at the right moment, but I’ll try! That’s so cute! Yeah, I second Angeline… should video Ethan for us to see/hear. Joyce says: I’ll certainly try! Thing is he wants to grab my phone everytime I try to record him on video! Aha, so he’s a Hokkien Actually I find them picking things up faster than us adults. Joyce says: Definitely! Children are like “sponges”!